In a healthy organization the executive team is aligned and cohesive. Politics and confusion do not exist and the entire organisation is working towards a common goal. 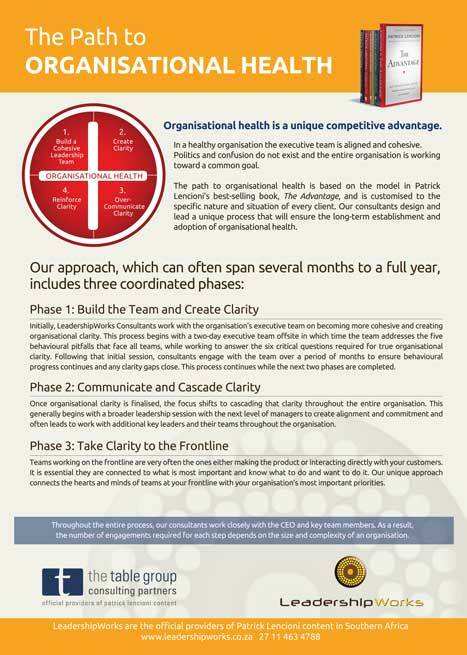 The Path to Organisational Health is based on Patrick Lencioni's best selling book, The Advantage, and is customised to the specific nature and situation of every client.